Opposition to recent legislation shows that interest in internet and press freedoms remains strong. Earlier this month, Taiwanese Internet advocacy groups succeeded in shutting down an anti-piracy bill similar to the U.S. Stop Online Piracy Act (SOPA). 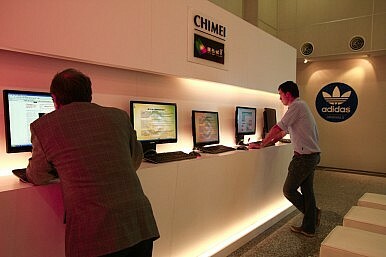 The bill was an amendment to the Taiwan Intellectual Property Office’s Copyright Act, and would have forced Internet service providers to block a list of domains or IP addresses connected to websites and services that enable illegal file sharing. The plan would have allowed Taiwan’s bureaucracies to create a blacklist for websites and peer-to-peer sharing tools like BitTorrent, rather than blocking individual videos and files as the law currently allows. The blacklist would also have been kept confidential from the public. Most of the pressure for this legislation came from the recording industry, but the U.S. government also expressed concern over piracy in the U.S. Trade Representative’s most recent National Estimate Trade Report. The plan was abandoned after several large Internet companies, including Wikimedia Taiwan and Mozilla Taiwan, threatened to stage a day-long blackout similar to the Internet blackouts that took place in the United States against SOPA last year. Wang Mei-hua, head of the Intellectual Property Office, declared that the government had no desire to set restrictions on freedom of speech or access to information. Nevertheless, many activists claimed that the law could create a China-like Great Wall. The activists have reignited passion for freedom of speech on the island, especially as ties with the mainland have steadily strengthened during President Ma Ying-jeou’s administration. Taiwanese youth have often been accused of political apathy, viewed as taking for granted the democracy they did not have to fight for. But the recent anti-piracy bill comes at a time when students and other young people have been protesting amidst fear for the future of free information and media in Taiwan. As James Stand wrote, many Taiwanese media outlets have been bought by Chinese companies or very pro-China entrepreneurs. For example, pro-China businessman Tsai Eng-Meng, owner of Want Want Media and China Times Group, attempted to buy Next Media Consortium in a deal that would have allowed him to own 50 per cent of Taiwan’s independent media. Free media advocates in Taiwan claim that Tsai’s support for unification with China and other issues put him and his media companies deeply at odds with the majority of Taiwanese opinion. In May 2012, an investigation by the Taiwan Mainland Affairs Council found “clear evidence” that five-day-long extensive coverage of a Chinese official’s visit to Taiwan was in fact paid advertising. The $586 million deal ultimately fell through after tens of thousands marched in Taipei, and now the Taiwanese Legislative Yuan is considering anti-media monopoly legislation. There are similar to allegations in Hong Kong, where pro-China businessmen have bought many of the local media companies and allegedly softened the tone towards the mainland. It was not so long ago that Taiwanese media was just as heavily censored as China’s media is today. Not until democratization in 1987 did Taiwan began to have a free press. Since then, Taiwan has developed a robust, if raucous, media and a proud culture of dissent; Freedom House rates it as one of the freest in Asia, with freedom of speech protected in the constitution. Most of the activists against anti-piracy legislation and media conglomeration are young Taiwanese who came of age when Taiwan was already a democracy. Though Internet and press freedom is still a concern, these citizens have shown their ability to organize freely and effectively to stop legislation they disagree with. Sharone Tobias is a Research Associate for Asia Studies at the Council on Foreign Relations. She blogs at Asia Unbound, where this piece originally appeared.